Read Morgan Marquis-Boire’s op-ed in The Intercept on the report’s findings. 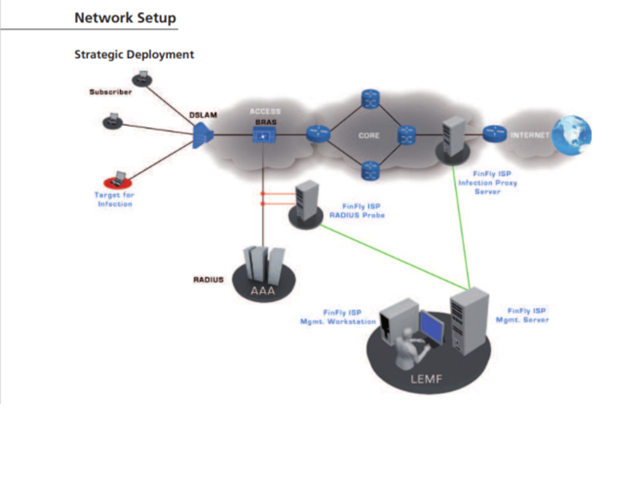 Software to perform man-in-the-middle attacks on networks has been available for some time. For example, in 2000, Dug Song released a suite of tools called ‘dsniff’ for capturing passwords on a switched network. 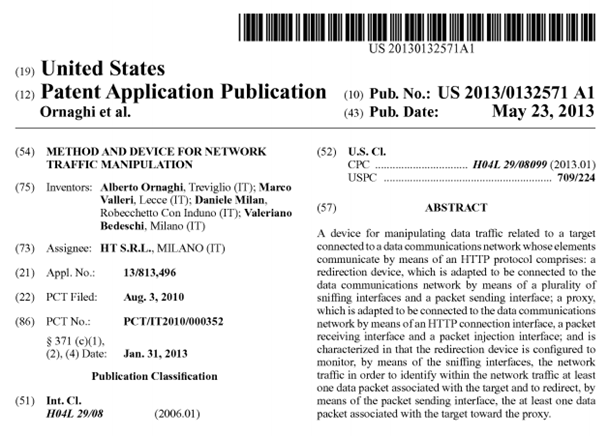 Interestingly in 2001, Alberto Ornaghi and Marco Valleri, the founders of Milan based surveillance company Hacking Team, wrote a popular open source tool, ‘Ettercap’ which enabled active interception and manipulation of traffic on local area networks. In 2007, Francisco Amato released ‘EvilGrade’, a tool to intercept updates for popular applications and replace them with a malicious payload. In recent years, this type of technology has not received much attention from the security community, as the technical aspects of these types of attacks, and solutions to to them, are well understood. If traffic is properly encrypted,3 it cannot be tampered with, and such attacks will fail. Additionally, performing this type of attack reliably at scale requires control of an Internet Service Provider (ISP) or Internet Exchange (IX) and the resources to purchase the hardware required to intercept and manipulate traffic at volume. 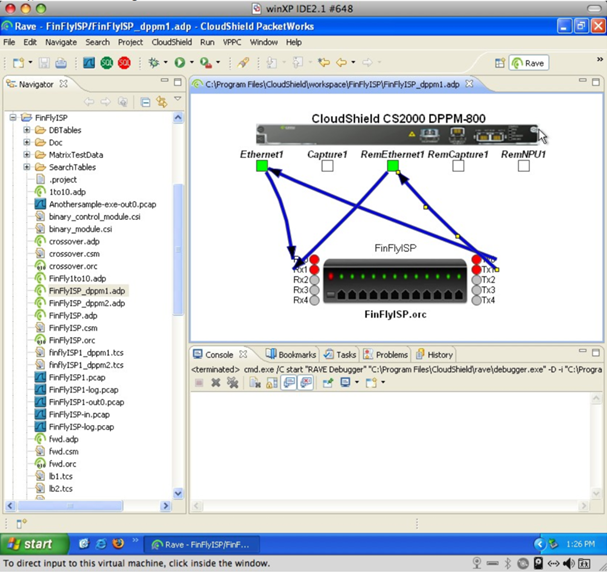 Network injectors generally take the form of appliances based on carrier grade server technology. High-speed traffic interception allow attackers to identify victim traffic. Once this action has occurred, the traffic can be modified in a variety of ways. 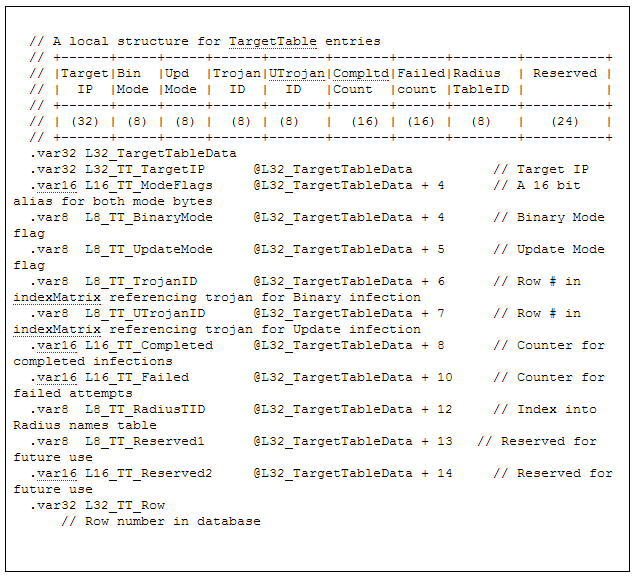 Early solutions infected executable files downloaded by the target or injected fake software updates for popular software.4 This document will describe how the most recent versions of these solutions infect targets on-the-fly by injecting malicious code into the traffic streams of popular websites. The use of this system against European telecommunications provider Belgacom was documented last year. Earlier reports based on the Snowden documents revealed that the NSA had compromised between 85,000 and 100,000 targets using such techniques. 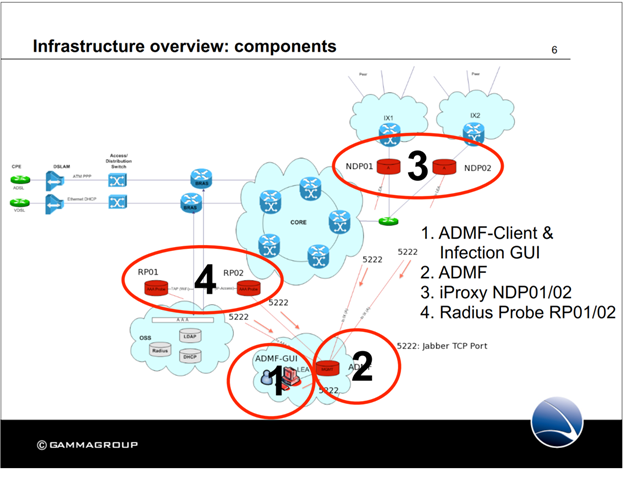 For a longer discussion of Five Eyes capabilities in this area, see Claudio Guarnieri’s blog post, The Internet is Compromised. The advantages of using such network injection techniques are obvious when compared to other common attack vectors such as spear-phishing or watering-hole attacks. 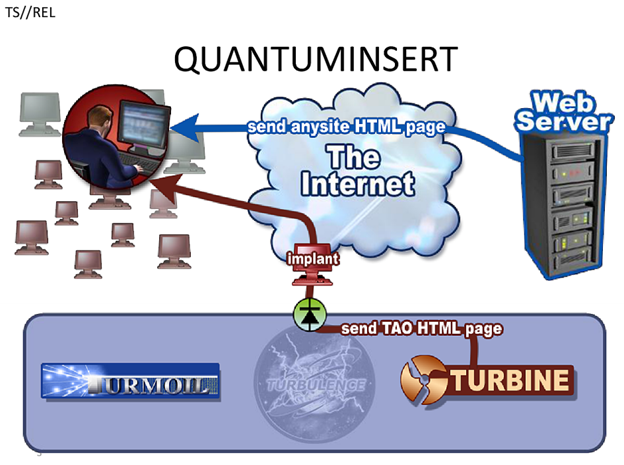 These kinds of attacks rely on a target being tricked into opening a file or viewing malicious content, whereas, network injection allows the exploitation of any target that views any clear-text content on the Internet provided that they pass through a network point that the attacker controls. While major providers are making efforts to encrypt parts of their networks, a significant portion of the Internet’s traffic is still unencrypted, allowing for easy manipulation. Even pages that serve their own content securely are likely to use unencrypted traffic from a variety of advertising networks or other third parties. While such products have traditionally been custom developed by a few nation states, the commercialization of this market has increased the ability of regimes to purchase advanced surveillance capabilities from vendors based in liberal democracies. Despite the fact that this technology is commonly sold as ‘lawful interception’, it has been used to target activists, journalists, dissidents, and human rights workers. Prior research by The Citizen Lab has tracked the usage of lawful intercept surveillance technology sold by FinFisher and Hacking Team against political and civil society targets including Bahrain Watch, Mamfakinch in Morocco, human rights activist Ahmed Mansoor in the UAE, and ESAT, a US-based news service focusing on Ethiopia. FinFisher, developed in Munich, is a line of remote intrusion and surveillance software marketed and allegedly sold exclusively to law enforcement and intelligence agencies. Until 2013, it was distributed by the UK based Gamma Group International. Hacking Team is a Milan-based company which, by their own account, sells commercial hacking software to law enforcement in “several dozen countries” on “six continents”. Citizen Lab has tracked the use of FinFisher to 25 different countries and Hacking Team to 22 different countries. These server location findings should not be considered to be a definitive list; in fact, Hacking Team is claimed to have been used in up to 60 countries worldwide. A video advertisement for this product was uploaded to YouTube and can be found here. These materials appear to indicate that a prototype of FinFly was created with the help of Sunnyvale, CA based company CloudShield Technologies (now a subsidiary of Leidos, previously Science Applications International Corporation (SAIC), a contractor to the US military and intelligence community). 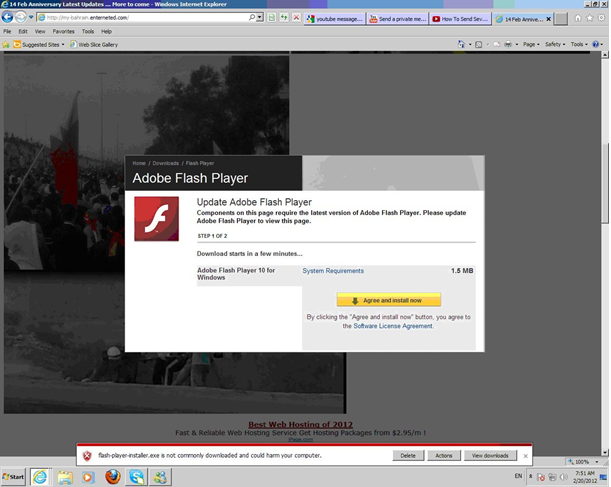 Wikileaks documents also assert this to have been deployed in Turkmenistan. Figure 5: Diagram of FinFly installation. 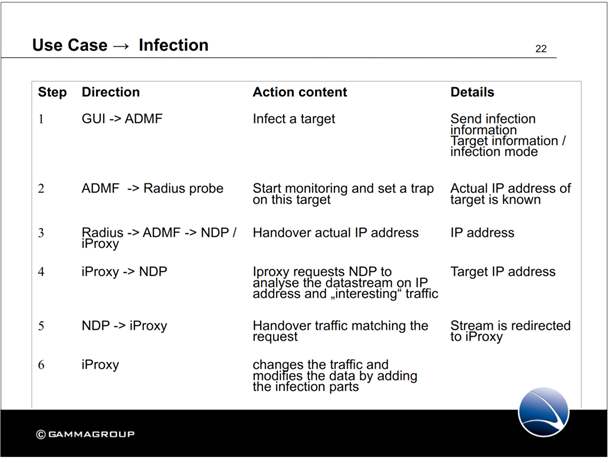 Figure 8: Gamma presentation slides describing FinFly target infection process. FinFly Web appears to be the component of the FinFly architecture that infects any clear-text page in order to offer malware as a download. It appears that a recent (unrelated) leak6 has made the FinFly Web component of the FinFly architecture available on Github. 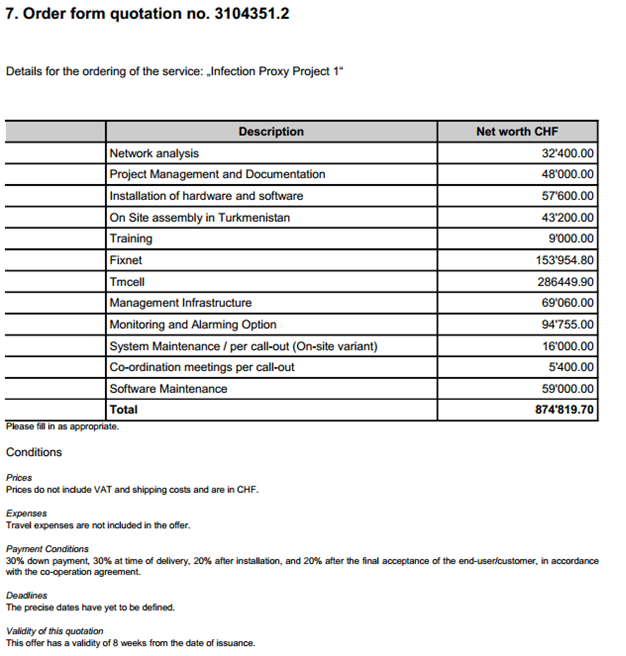 As described in the Citizen Lab report Police Story: Hacking Team’s Government Surveillance Malware, material was provided to the Citizen Lab which appears to document the operation of several Hacking Team products. As stated previously, we have no knowledge as to the origin of the documents, and whoever sent them took steps to conceal their identity. While the authenticity of these documents is unverified, we have not identified inconsistencies with what is currently known about Hacking Team RCS. 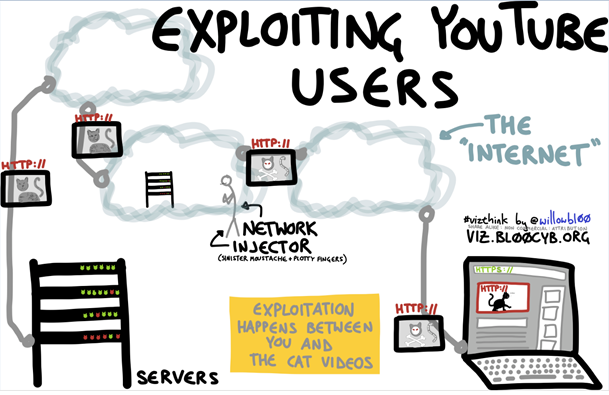 In this diagram, the user (watching a cute cat video) is represented by the laptop, and YouTube is represented by the server farm full of digital cats. 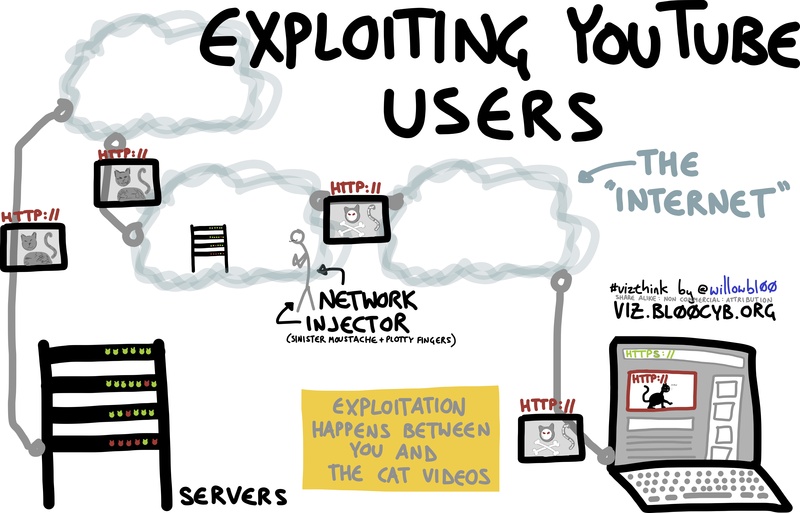 You can observe our attacker using a network injection appliance and subverting the beloved pastime of watching cute animal videos on YouTube. After being alerted by the author of this post to the sale of devices to exploit YouTube users, a representative at Google stated on July 22nd, 2014 that they were accelerating two changes. All users using an extension like HTTPS Everywhere will now receive the full page and video stream over TLS. 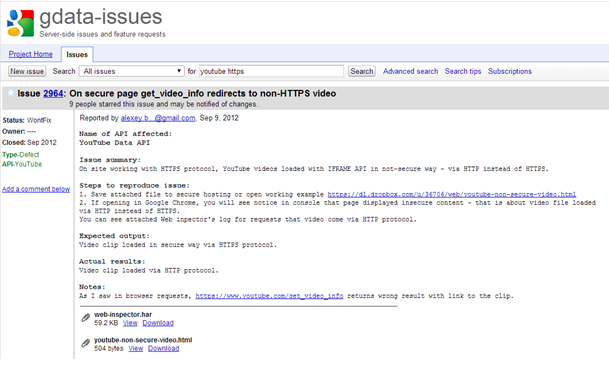 Additionally, a roll-out of full-TLS YouTube is being carried out for all users, independent of login state. 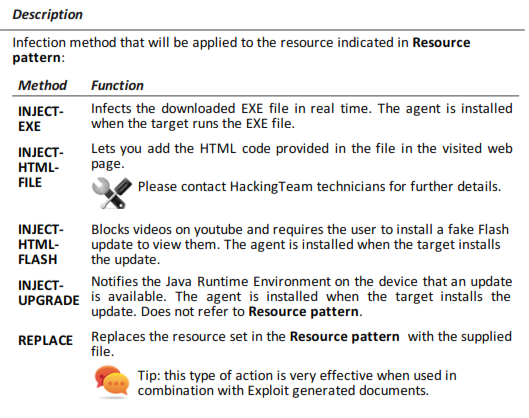 Windows Live presents another attack surface used by Hacking Team’s network injection appliance. Unlike some other free webmail providers, some elements of the login page are provided to the user in clear-text, making them observable to a network adversary and consequently easy to tamper with. 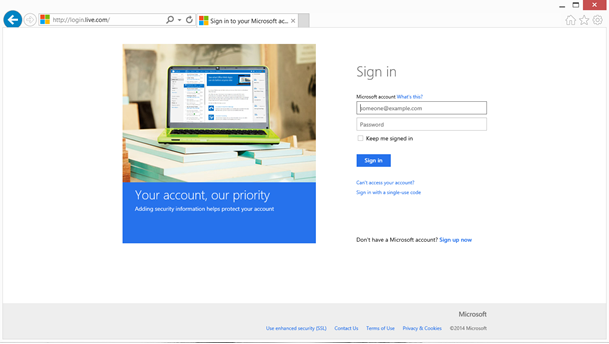 We alerted Microsoft to this issue and on August 6th, they pushed out a hotfix to automatically force all users to use https://login.live.com. Thus far we have provided two examples of commercial tools that have widely proliferated and that enable purchasers (for a fee) to exploit clear-text traffic in some of the most popular sites on the web. For the average user, no complete solutions to this problem currently exist. The Electronic Frontier Foundation’s HTTPS Everywhere has been a good start toward allowing users to request that companies serve them data in an encrypted manner. Even while using this plugin, however, data can still be delivered to the user without HTTPS, including sites where some data is encrypted. There is a plugin currently available, HTTP Nowhere, which claims to allow only encrypted traffic; however, as currently implemented, it might break the functionality of popular websites. Enabling this feature is an entertaining illustration of how much the user experience of web browsing is still dependent on unencrypted data. The proliferation of tools for both tactical and on network injection attacks highlights a vulnerability that has existed since the beginning of the consumer Internet. Until recently, however, it has been challenging to gauge the practical viability of this attack and the number of actors that might have this capability. Hacking Team and FinFisher are probably not unique in packaging and selling these techniques. In terms of surveillance vendors that provide such technology, it seems likely that this is but glimpse into a larger market. I would like to thank my colleagues at Citizen Lab for their invaluable assistance with this report. Especially: John Scott-Railton, Sarah McKune, Masashi Nishihata, Adam Senft, and Ron Deibert. Also, Bill Marczak and Claudio Guarnieri for their work in this area over the last two years. A very special thank you to Willow Brugh for her illustrative skills. Washington Post, Washington Post’s The Switch blog, Schneier on Security, Heise Online [in German], The Verge, Tech Times, Techdirt, Gizmodo, Network World, Engadget, Marie Claire [in French], Slate [in French], Glamour [in French], and the Huffington Post.